These days I find it more challenging to learn a new skill than it was just a decade ago and so it's much better if I can break things down into simple progressive steps which I can practice. In my quest to learn 'brioche' my first project needed to be an easy one - something to get to grips with the 'brioche basics' and using just one colour. I came up with a simple wrap which is proving impossible to photograph well in the (lack of good) natural light today (see this post for a better picture of the yarn and a close-up of the fabric). Photography aside, it worked! Making the wrap has given me the muscle memory for the two fundamental brioche stitches - the 'Sl1yo' (slip one stitch with the yarn over the needle) and the 'Brk' (brioche knit) - so they feel completely natural. From your comments I know that many of you are also keen to get to grips with this technique, so I've put together some instructions and a short video clip to help you make a little swatch. If you can make the swatch you will be ready to move onto two-colour brioche, and will be able to make the wrap as a practice project. 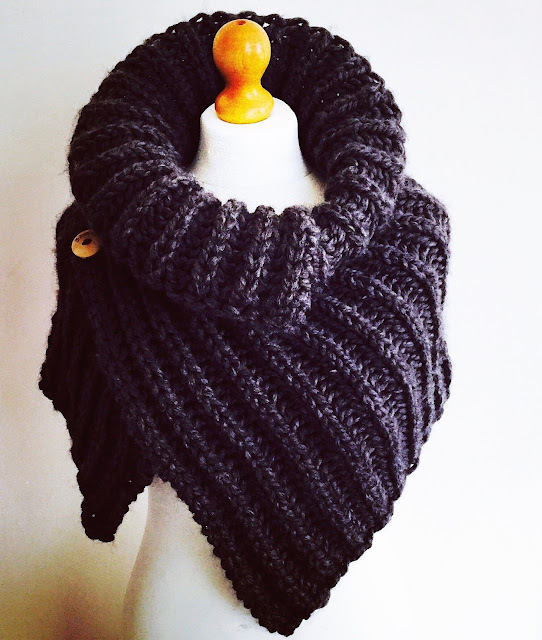 I used bulky yarn and big needles for the wrap, but for the swatch you can use any weight you have to hand. 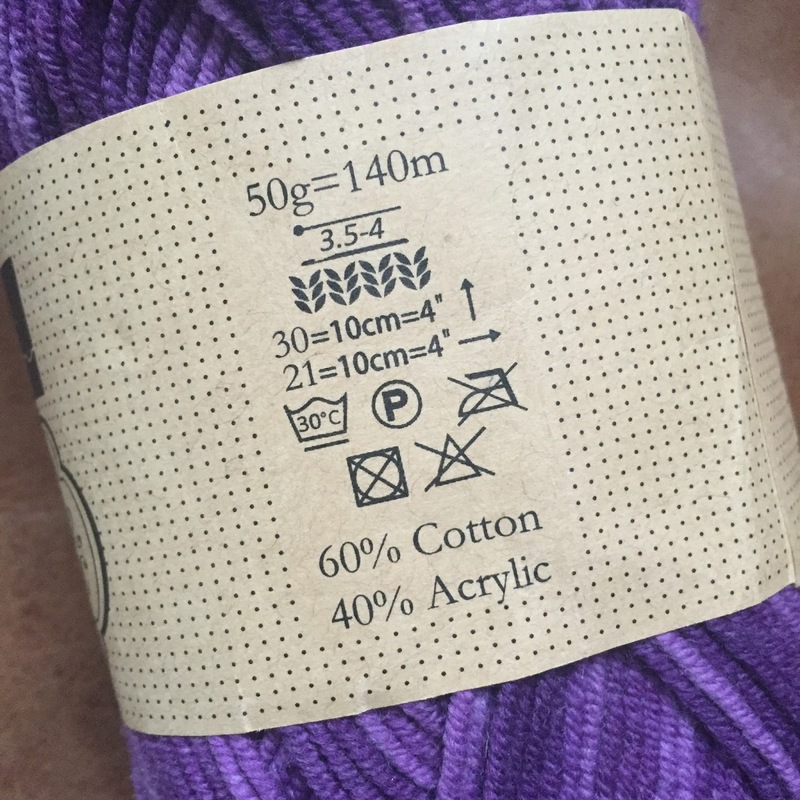 Then select two different needle sizes which are appropriate - so where a range is given on the ball band (as below), try the largest suggested size for the cast on/bind off and the smallest size for the main body. If you don't like how the swatch is knitting up (eg if your knitting is more tight or loose), just change the needles until you are happy with the fabric. I used Scheepjes Soft Fun Denim with 4mm and 3.5mm needles, as per the ball band. As this post is only concerned with brioche basics, I'm assuming you can already knit, and have a basic knowledge of standard knitting terms. Notice that I am a 'Continental Knitter' so I hold the working yarn in my left hand. 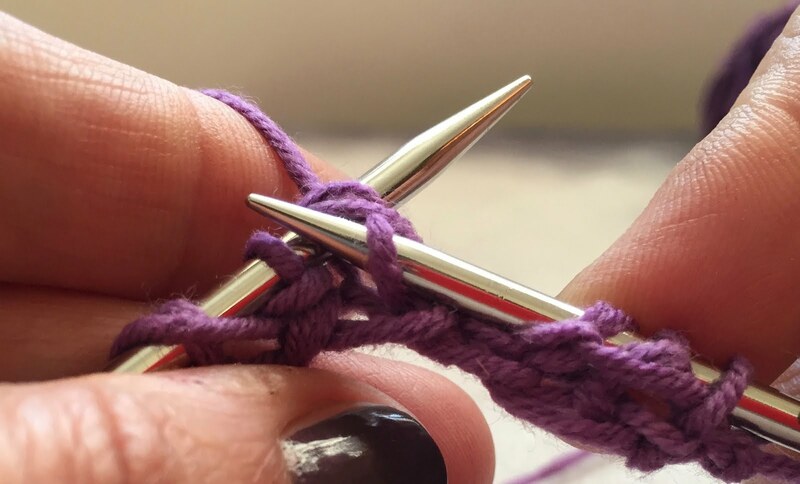 If you hold the yarn in your right hand, the stitches will look the same, the only difference is that you'll be bringing the working yarn from the right and not the left. Brioche fabric is stretchy so you need to use loose/stretchy 'cast on' and 'bind off' methods or the fabric won't sit properly. Using the bigger needles to cast on and bind off also helps. I've used the Long Tail Cast on and a loose traditional bind off using bigger needles, but you can use any methods you prefer. In order to create the characteristic brioche fabric, a stitch is slipped at the same time as a yarn over. However a 'brioche yarn over' is not the same as a regular 'yarn over' which is a misnomer, as the yarn is actually wrapped around the needle. In brioche, it literally means "lay the yarn yarn over the needle [and the slipped stitch]". To perform the brioche yarn over, put the yarn to the front of the stitch, slip the stitch and put the yarn over the top of the slipped stitch. Unless specified in a pattern, the stitch is always slipped purlwise, as pictured. In the picture above and in the short video clip below, you'll see that the continental style of knitting is especially well suited to this technique, as it's very easy to scoop the right needle behind the working yarn while slipping the stitch. If you don't knit this way, remember to put the yarn in front of the work before you slip the stitch or you won't be able to lay the yarn over the top of the slipped stitch. This is more like a traditional 'k2tog' as you are actually knitting the slipped stitch and it's paired yarn over together to form a single stitch. All rows in the swatch start with a slipped stitch and end with the final stitch being knit through the back loop. This is because the wrap is knit the same way and if you can make this swatch, you can make the wrap - I've done that on purpose as the recipe for the wrap will follow next week. 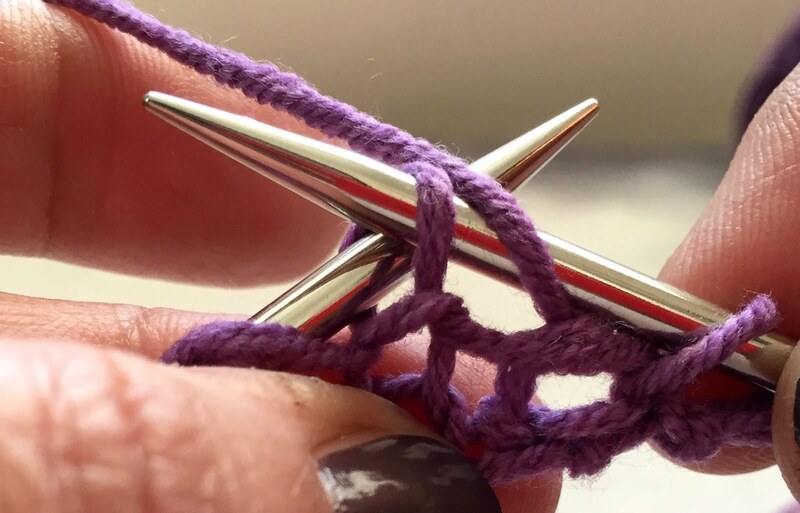 REMEMBER: The 'sl1yo pair' counts as a single stitch when knitting, counting stitches, and when binding off. Repeat rows 1 and 2 until you are happy that you understand how to work the stitches, and get into a rhythm (of sl1yo where you had a brk on the previous row, and vice versa). It will take a few repeats before the brioche fabric can be clearly distinguished, so don't worry if it doesn't look like brioche for the first few rows. In this little video clip, I'm knitting row 1 of the swatch pattern, very slowly and from behind a tripod (!) but hopefully you'll be able to see how straightforward it is. 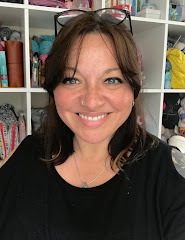 Brioche Knitting Part 1- The Basics from Sarah Knight on Vimeo. So next week I'll post the wrap recipe, and after that, if you have found this post useful (please do let me know) I'll post further instalments on knitting a two-colour brioche swatch and project. If you can't wait to learn this technique, you might like to check out Nancy Marchant's essential Brioche book, or one of her Craftsy classes (affiliate links). 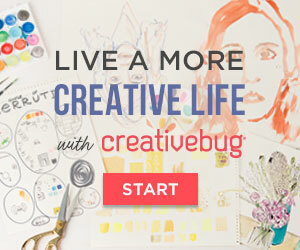 Continental will be easy for you, as you crochet! You totally should - learning it was the best (knitting) thing I did! Hi Ausra, I'm so glad I've helped to demystify it for you. These are the basic stitches (the brioche equivalent of knit and purl). Making a two-colour rib is just a case of working each row twice (once in each colour) but I'll show you how to do that next week. Shaping, increasing and decreasing require additional stitches, but once you know the basics, that's not so hard to pick up.... I think! It was really helpful to see this simple discussion and video. I am taking Nancy Marchant's online class through Craftsy, but I am not sure the increase/decrease rows I am doing look "normal." "Correct," that is. I'm going to keep searching videos, but your VERY clear video photographs reassured me that I was doing the stitch, continental style, correctly. That is a relief!